When we are talking about Safety and Infection Control we need to simplify things and really understand what is safety and infection control and what the NCLEX wants us to focus on with this topic. It is very important to realize that The “Safety and Infection Control” now makes up about 10 -14% of the questions in the entire NCLEX Exam This is a huge part of the exam, which means that it can be a factor for us either passing or failing the NCLEX exam. 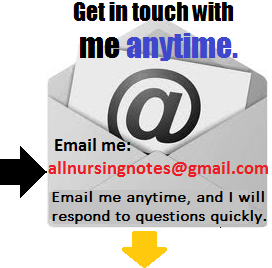 So lets simplify the SAFETY AND INFECTION CONTROL information that we need to know for this NCLEX Review. So the first thing that we need to learn is to understand and simplify each category and correlate which particular disease belongs to each particular category. We have to know this by heart, and to do this we really need to know the basics of each diseases. Standard precautions simply are the basic level of infection control that should be used in the care of all patients all of the time. Basically we use standard precautions in the care of all patients, in order to reduce the risk of transmission of microorganisms. It is also called UNIVERSAL Precaution. 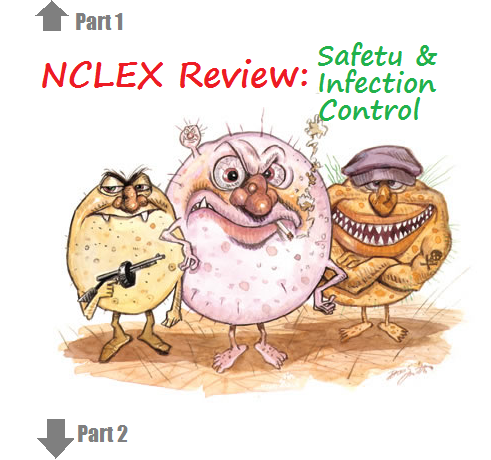 Now lets go over the meat and potatoes of Safety and Infection Control in the NCLEX Exam which is knowing all the necessary precautions. And obviously in order to be successful in the NCLEX, you have to know this by heart. Lets begin with Contact Precaution. It is pretty much self explanatory in a sense that it is transmitted through usually skin to skin contact. Now the major diseases that exist that enables the organism to be transferred through contact precaution that you will most likely encounter in your NCLEX exam includes mostly skin infections. Since the skin is the number one barrier during a contact. Now lets take a look at Droplet precaution which can occur from a source such as a person during coughing, or sneezing or talking, Now these Droplets that contain the microorganisms can generally travel no more than 3 feet from the patient. What Diseases can we usually see that involves droplet precuations in the NCLEX? DISEASES that you will most likely encounter in the NCLEX. So its basically a negative pressurized room. What this does is that it enables a ventillation system that generates negative pressure to allow air to flow into the room and not allow the pathogens to escape. NCLEX Priority: Make sure to wear our speacial mask which is the N95 MASK FOR TB. MAOIs or Monoamine oxidase inhibitors act by inhibiting the activity of monoamine oxidase, thus preventing the breakdown of monoamine neurotransmitters and thereby increasing their availability. Which gives off positive effects on depression and anxiety. so again basically MAOI’s helps balance certain brain chemicals called neurotransmitters and it does this by reducing the amount of monoamine oxidase which the substance that breaks down the neurotransmitters, hence there would be more neurotransmitter in the brain which helps decrease the symptoms of depression. As we learn from our Psych class back in nursing school, We as nurses don’t usually offer MAOI because of the lethal dietary and drug interactions (and this is the most important thing that we have to know for the NCLEX in reagards with MAOI and this is also a big reason why MAOI is usually used as last line of treatment and is used only when other classes of antidepressant drugs (for example SSRI and TCA’s) have failed. We need to know for the NCLEX that our patient needs to limit foods that contain high levels of tyramine, such as cheese, pickled foods, beer and wine. And here is why…. well because Tyramine is an amino acid that helps regulate blood pressure. So basically if we combine tyramine with MAOIs the interaction cause dangerously severe high blood pressure it can trigger a hypertensive crisis… and we don’t want that on our patient. So again, the biggest tip we can take away from this video is to remember that when giving MAOI’s… avoid food with high levels of tyramine…. so no cheese, pickles and beer or wine. I find these to be some of the best Nursing Homes in New York City. I have mentioned before that pharmacology plays a big role and a big factor with the NCLEX exam. If we encounter the mid level which are basically the competent questions which is exactly what we need to know and what the NCSBN or Board of Nursing wants us to answer correctly in order to pass the NCLEX exam. Then it is expected from us to understand the management and prioritization aspects of certain medications that we have to know for the NCLEX. That simply means to know and understand side effects or adverse reactions for certain medications and also how management and prioritization would be applied towards Pharmacology in correlation to the impact of the side effects or adverse reactions towards the patient. What it means is basically as a nurse or as a nurse graduate taking the NCLEX exam, it is our job and our duty to be conscious and aware of certain side effects and how that impacts our client. Also implications that we need to know for certain medications such as interactions or interventions that will become a priority for us as the nurse, in taking take care of our patient. This entails knowing the specifics factors such as the ABG’s, vital signs and lab values and all of the symptomatic signs. Now let’s look at a few important examples of the most important pharmacological categories of medications that we will most likely encounter in the NCLEX exam. Now let’s begin with the important medications that is used for hypertension, which is diuretics. Lets talk about diuretics, which helps get rid of sodium and fluid in the body. Diuretics is used to lower the blood pressure and therefore promotes excretion of sodium and water. Now with this in mind we can understand that diuretics interferes with the patient’s blood pressure (which means it can significantly drop) as a result: decrease in the preload and afterload in the body. Therefore, a priority would be giving IV fluids to that patient. And since there would be sodium absorption in the kidneys, it causes an increases the urine output. Now let’s go over a specific type of diuretics and start with a potassium sparing diuretics. With a potassium sparing diuretic, it basically promotes the excretion of sodium and water while the retention of potassium (Important to know for NCLEX Review). And basically is used usually for hypertension and edema and for a patient with hypokalemia or hypokalemic symptoms. An example of a potassium sparing diuretics would include Spir0nolactone, which will usually be very common in the NCLEX exam. So what is the prioritization for this particular patient: Obviously the patient could end up having too much potassium and that would cause hyperkalemia, so therefore then we would have to know the symptoms of hypokalemia (now we all know that Potassium is needed for cells, especially nerve and muscle cells, to function properly) as a result the person can have symptoms that can include irregular heartbeat, nervousness, tingling in the hands, shortness of breath and nausea and vomiting. Nursing interventions for clients with beta blockers would include interventions such as making sure that we monitor the clients blood pressure, and heart rate. We also need to monitor the client for signs of edema. So as the nurse, we should assess the lung sounds for the signs of rales and rhonchi which can be due to obviously fluid overload. When patients are taking beta blockers, it is also very important to monitor the changes in lab values such as protein, B UN and creatinine which can indicate nephrotic syndrome in the kidneys and that can be a problem. Nursing teaching for these patients would include teaching the client to rise slowly because the cause orthostatic hypotension which can become a safety issue and we also need to tell the patients to report any signs of bradycardia, dizziness and confusion. – HELPS GET RID OF THE SODIUM AND FLUID IN THE BODY. – USED TO LOWER THE BLOOD PRESSURE. – DIURETICS INTERFERES WITH THE SODIUM ABSORPTION IN THE KIDNEY. – INCREASES THE URINE OUTPUT. DECREASES THE PRELOAD AND AFTERLOAD.. If the patients blood pressure drop to low, it is important to give IV FLUIDS to pt. – Helps lower blood pressure, puls rate and cardiac output. – Can be used to treat headaches. – Can be used to treat glacauma and prevent myocardial infarctions. – Acts on the system, by blocking the symathetic vasomotor response. For the NCLEX, try to remember that the syllable for beta blockers is usally (olol). Make sure that you monitor the client’s blood pressure, heart rate and rhythm, before administering the beta blocker. Monitor the client for signs of edema. The nurse should also assess the lungs sounds for signs of rales and ronchi. When patient are taking beta blockers, it is also very important to monitor the changes in lab values such as (protein, BUN and creatinine) which can indicate nephrotic syndrome. 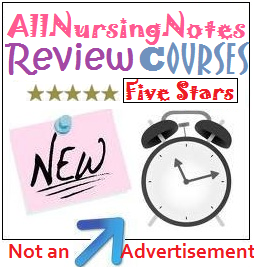 Nursing teaching for the NCLEX would include: Teaching the Client to rise slowly (ORTHOSTATIC HYPOTENSION) * (A SAFETY ISSUE), report any signs of bradycardia, dizziness, confusion depression or fever. It is also very important to taper off the medication properly. – REDUCES THE CARDIAC OUTPUT AND DECREASES THE SYMPATHETIC NERVOUS SYSTEM RESPONSE. – BLOCKS THE BETA RECEPTOR, CAUSING A DECREASE IN BLOOD PRESSURE. – MEDICATIONS INCLUDE THE “OLOL’S”: METROPOLOL, PROPANALOL, ACEBUTOLOL, NADOLOL. – USED FOR HYPERTENSION, MYOCARDIAL INFARCTION AND ANGINA. – ADVERSE EFFECTS CAN INCLUDE: BRADYCARDIA, HYPOTENSION AND HYPOGLYCEMIA (DISTRUPTS THE LIVER’S ABILITY TO CONVERT GLYCOGEN TO GLUCOSE). If you are looking for the right Nursing Home for your loved ones. Please visit SeniorHug. The fact is that pharmacology will always be a big part in your NCLEX Exam, and can be a huge catalyst in whether you pass or fail your NCLEX Exam. It is quite important for us to focus a lot on the content that pertains to medications, if we are reviewing for the NCLEX. The NCSBN (who is responsible for developing the NCLEX Exam) defines the category of Pharmacological and Parenteral Therapies as a sub-category within the Physiological Integrity area (of the exam) in which the nurse is basically providing care related to the administration of medications and parenteral therapies. First, I want to take a step back and look at Pharmacology from a technical sense and look at it more in depth. Pharmacokinetics– The study if how drugs are being absorbed, distribuited, metabolized and excreted by the body. Pharmacodynamics– is the study of how drugs are being used by the body. Pharmacotherapeutics– the study of how the client responds to the particular drugs. What’s in a drug name? This tells you the chemical makeup of the drug. This name is given by the company that developed the drug. This is the name given to the drug by the company in which the medication originated. Any drug can have a CHEMICAL NAME, A GENERIC NAME AND A BRAND OR TRADE NAME. The generic name of a drug is suggested by the manufacturer, and accepted by the international committee. How the drug is being affected affects the body and the patient’s response is called the effect. Efficacy refers to the degree to which a drug is able to induce it’s maximal effects. Adverse Effect is any unexpected or unintended response to a therapeutic use of a drug, it is also called side effect. During this review, I want to focus specifically towards the drugs that is mostly in patients with hypertension. CAUSES THE DEPLETION OF SODIUM AND WATER. – PREVENTS THE MOVEMENT MECHANISM OF CALCIUM WITHIN THE CARDIAC SYSTEM. – THEREFORE DECREASING THE CARDIAC WORKLOAD, AND CARDIAC MUSCLE CONTRACTILIY. – MEDICATIONS INCLUDE THE “DIPINE” : DILITAZEM (CARDIZEM), AMLOPIDINE (NORVASC), NEFEDIPINE, NICARDIPINE. – USED TO TREAT ANGINA. – Blocks the calcium channels in the heart, causing a decrease in contractility. Decreases the workload of the heart. Do not give Norvasc with grapefruit, causees increase in drug level. Make sure to monitor the heart rate and the blood pressure. Hold medication if HR is less than 60 or if BP is less than BP. – ACE INHIBITORS “BLOCKS” THE CONVERSION OF ANGIOTENSIN 1 TO ANGIOTENSIN 2. – ALTERS THE “BLOOD PRESSURE” MECHANISM THROUGH THE RENIN-ANGIOTENSIN SYSTEM. MEDICATIONS INCLUDES THE “PRIL” : CATOPRIL, ENALAPRIL, LISINOPRIL, RAMIPRIL. GIVE ON AN EMPTY STOMACH OR 2-3 HRS. AFTER A MEAL. SIDE EFFECTS: COUGH, TACHYCARDIA, NAUSEA AND VOMITING. Avoid Herbs such as ‘G’ HERBS (GINSING, GINGER, GINKO, GARLIC) when using anticoagulant drugs. NEVER GIVE YOUR CHILDREN ASPIRIN, CAN CAUS REYE’S SYNDROME. CAN BE SAFELY GIVEN DURING PREGNANCY. LOVENOX, ALSO CALLED ENOXAPARIN, IS A FORM OF HEPARIN CALLED FRACTIONATED HEPARIN. TAKE W/ FOOD TO DECREASE GI UPSET. Watch for electrolyte imbalance and dehydration. Some of the Best Nursing Homes in New York Senior Hug. Understand that the Nervous system includes the Central Nervous System (CNS), the Peripheral Nervous Sytem (PNS) and the Autonomic Nervous System or the (ANS). When I say the CENTRAL NERVOUS SYSTEM, We can simplify at as the BRAIN and the SPINAL CORD. The PERIPHERAL NERVOUS SYSTEM on the other hand, contains the CRANIAL NERVES and the SPINAL NERVES. WHEN WE TALK ABOUT THE AUTONOMIC NERVOUS SYTEM, WE ARE BASICALLY TALKING ABOUT THE “SYMPATHETIC” (FIGHT OR FLIGHT) SYSTEM OR THE “PARASYMPATHETIC” SYSTEM. – is the primary component of the nervous system. – it is composed of cell body (gray matter), axon and dendrites. BRAIN (Central Nervous System: Brain and Spinal Cord). TWO HEMISPHERES: LEFT AND RIGHT AND EACH HEMISPHERE IS DIVIDED INTO TWO LOBES. REGULATES FUNCTIONS OCCURRING AUTOMATICALLY IN THE BODY. ANS REGULATES SMOOTH MUSCLE, CARDIAC MUSCLE AND GLANDS. IT IS NOT NECESSARY TO KNOW EVERY PHYSIOLOGY FOR EVERY SINGLE PART OF THE BRAIN. BUT JUST IN CASE WE END UP GETTING LOW LEVEL QUESTIONS ON THE EXAM, THEN IT IS IMPORTANT THAT WE UNDERSTAND THE BASIC CONCEPT AND FUNCTION OF EACH AREA. IT WOULD ALSO BE A GREAT IDEA TO KNOW THE CRANIAL NERVES. Glaucoma: there is an increased of intraocular pressure in the eye. Open angle glaucoma is slow in onset and chronic, while the primary angle glaucoma needs immediate treatment.